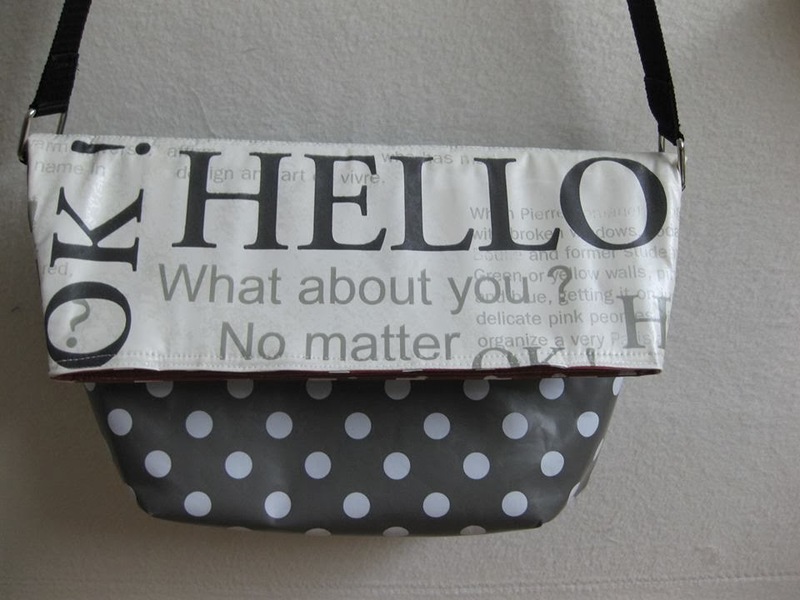 Today my lovelies I'm continuing to bombard you with The Sling Bag, but this time with a guest post from one of my testers. Liz is going to talk you through the edits she made to make this pattern her own! I first wanted to make it in pleather but one of the other tester beat me to it...I won't mention any names Maria ! So I figured I would do the next crazy thing...and sew it in vinyl ! Don't ask me what I was thinking of making it in vinyl...at the time it sounded like a good idea!! 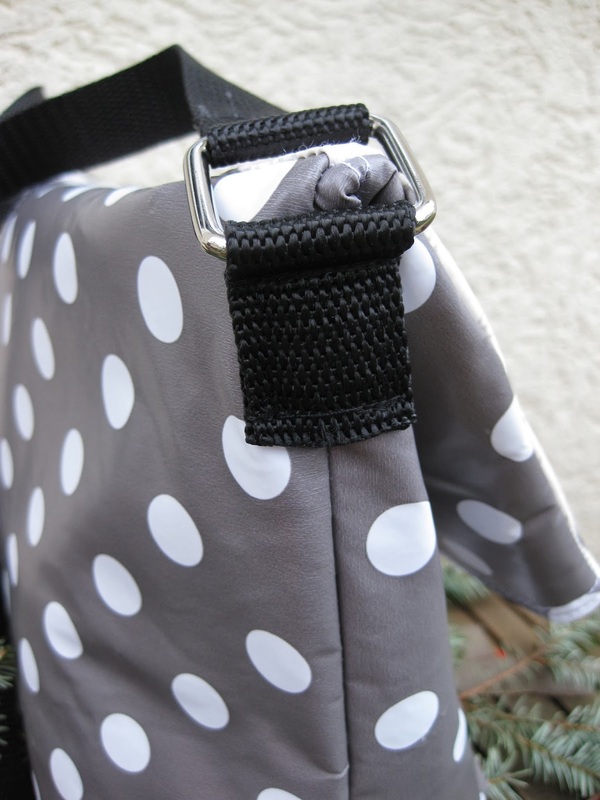 Actually I think it turned out pretty good....if you are also crazy enough to sew it in vinyl...here are a few tips ( & changes ) I will share with you. I added almost 2" to the length of the pattern since I wanted to make a accent flap and I was afraid if I didn't lengthen it it would stick out like a board..
For the pattern, I used masking tape to tape my vinyl to the batting and then I basted it along the outer edges....( 1/8" seam allowance) to hold it in place....no pins allowed ! 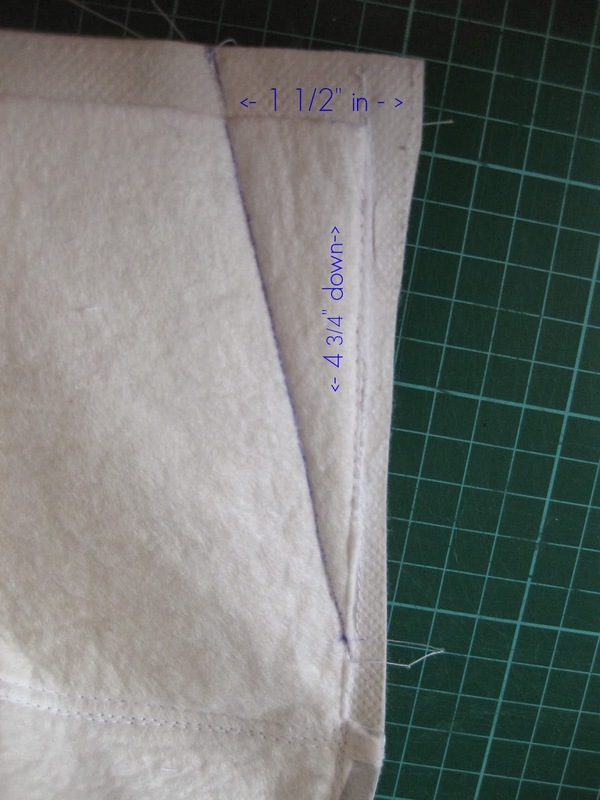 Then I sew the flap part to bottom part...and top stitched it ( my top flap part is approx. 6" x 15"...bottom is 12" x 15" ) For the other outer piece, I didn't add the accent piece ...I just cut it out whole . 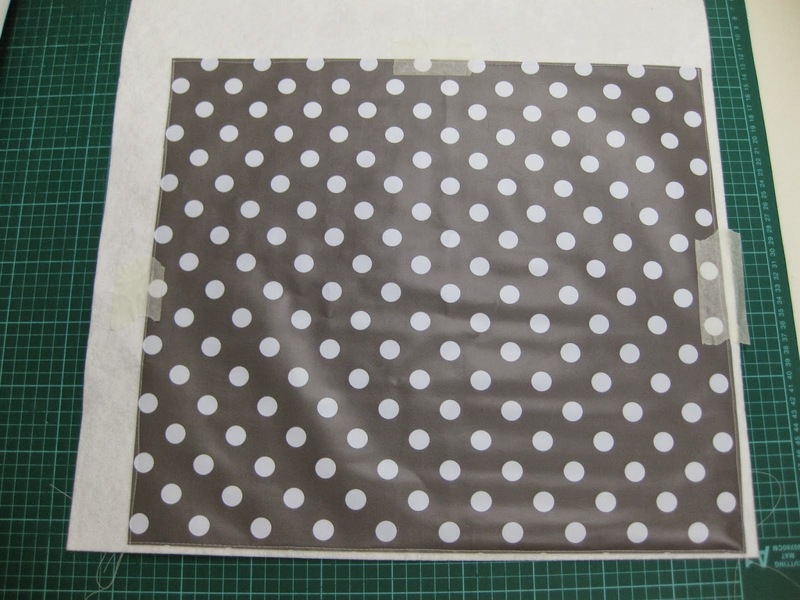 For the lining...(you knew some red polka dots would have to show up!) I added a little sew on pocket ( there was no way I was doing a inner zipper pocket with vinyl....I am crazy but not that crazy!) I also used velcro for the closure instead of the recommended magnet snap. 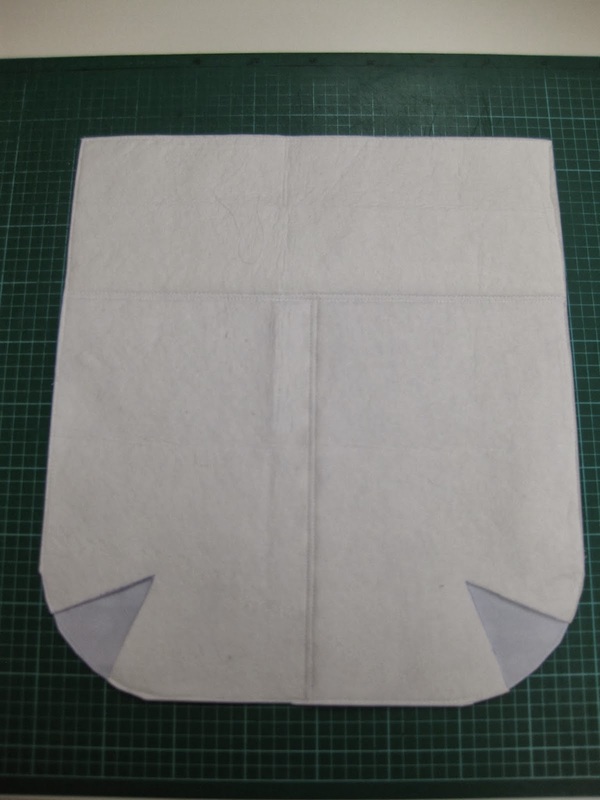 Then I followed the rest of the pattern direction...sew RST and turn ! Normally this is where you would sew your lining to your outer fabric ( RST, turn and topstitch) but since I am using vinyl...it is best to avoid turning it as much as possible otherwise it will look like a wrinkled rag...so this meant I had to sew the bag together "wrong sides" together and the only way to do that is to fold down the seam allowance on the outer & lining pieces ...the easiest way I found was to premark it with my tracing wheel ( scoring the vinyl which made it easy to fold in. Use Wonder clips to hold the outer & inner together and top stitch it closed...I forgot to take a picture here so pretend that I haven't topstitched it yet. After all that ...this is what the bag looks like !!! So you see...you can break all the rules, follow half of the designers instructions and still end up with a lovely looking bag.... Don't be afraid to add you own spin on a pattern...the bag making police won't come and get you ....I promise!! Most important is to have fun with it and make it yours. 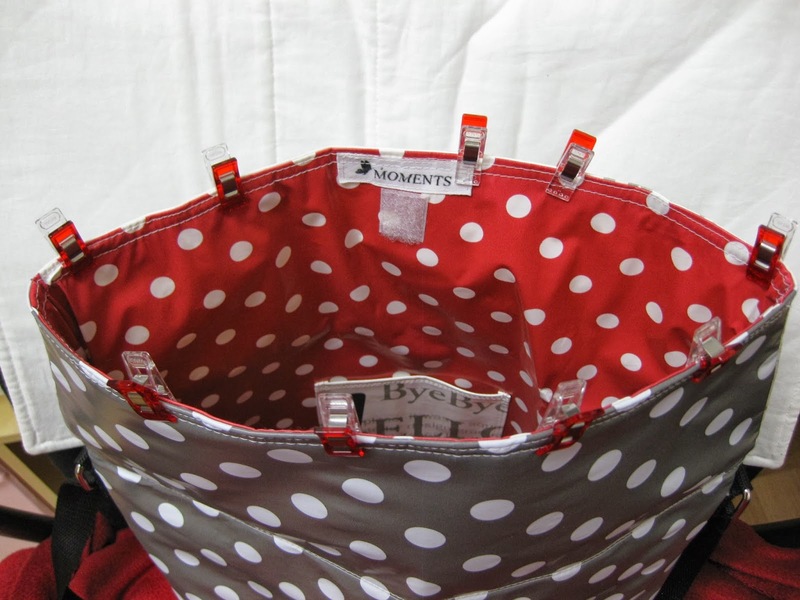 Pop over and see Liz at her blog Moments for more updates on her sewing shenanigans!